Droneville is the number one app for drone lovers and UAV enthusiasts! It includes a live flight safety checker, no fly zones map and the latest news from industry sources. Get instant access to a real-time flight safety indicator, no fly zones map and live news feeds collated from the best drone sites around. All these features in one place make Droneville the only app you need, regardless of your level of love for flying machines! 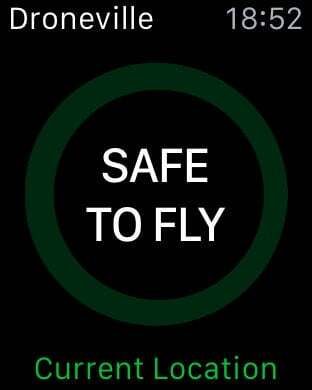 - Flight Safety Indicator: a quick and simple, yet unbelievably useful, way to know if its safe to fly your drone or UAV. Droneville knows about potentially hazardous weather conditions and any flight restrictions. Use your current location or set up and save your favourite flying spot. 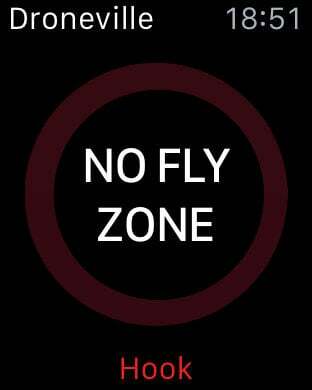 - No Fly Zones Map: fast, informative and fully native. Always fully up to date so you can always be confident you are flying safe and within the law. Droneville knows about no fly zones from all over the world. - News Feeds: hand-curated content, including the latest news and reviews, from enthusiast blogs and tech blogs. Updated multiple times an hour, so there is always new content to browse through in your downtime. - Apple Watch Support: An incredibly useful Apple Watch app to quickly learn if its safe to fly where you are. - Ongoing Development: 3D touch is already supported (try it on a news feed article or on the Droneville app icon), and I've got more exciting features planned. Disclaimer: I do not assume responsibility for the accuracy of the data represented in this app. The data is gathered from public APIs and multiple RSS feeds.